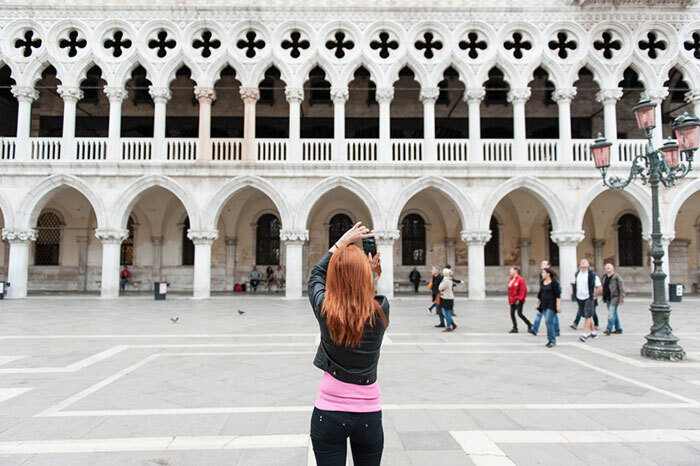 Photo series capturing tourists from behind while taking snapshots of sights in Venice, one of the most visited cities in the world. 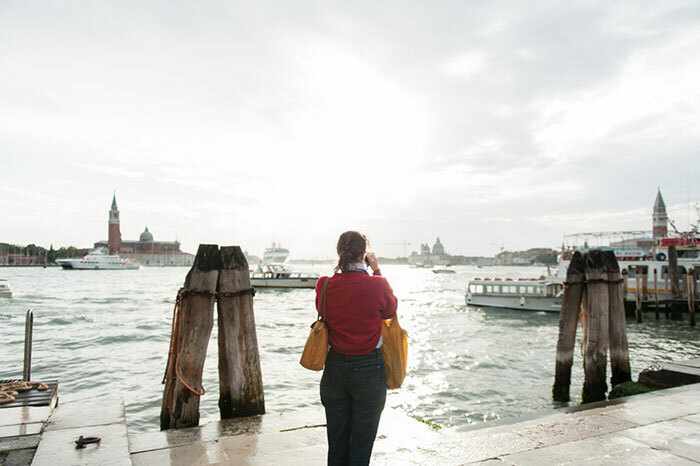 The project by Rome-based photographer Paolo Fusco was started as a way for him to explore the city through the eyes of the tourists. He was interested in the perspective of ordinary people and what they look for when taking the perfect shot, which to them will create a lasting memory. 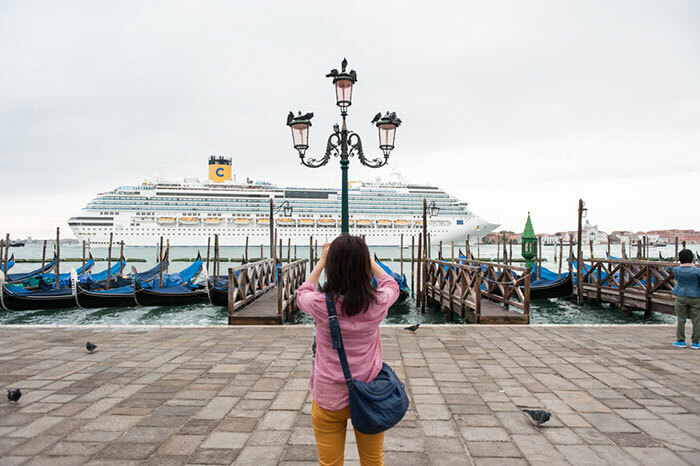 Venice is crowded with tourists, who flock in the most known areas, but leave almost empty the other parts of the city. 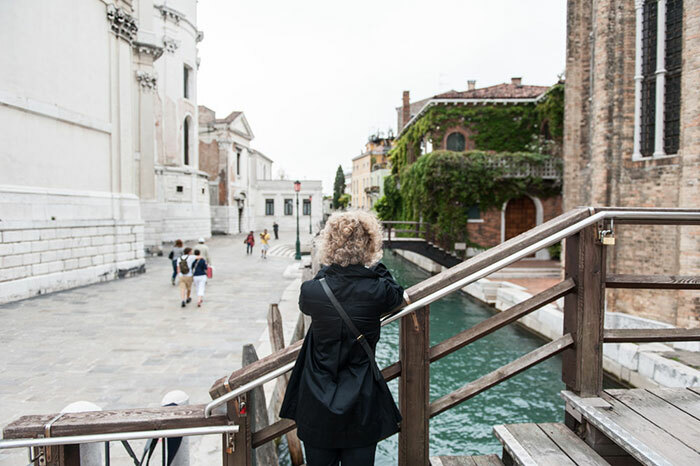 While wondering around the city, I couldn't help noticing that every single tourist has a camera in his hands and is constantly taking snapshots. 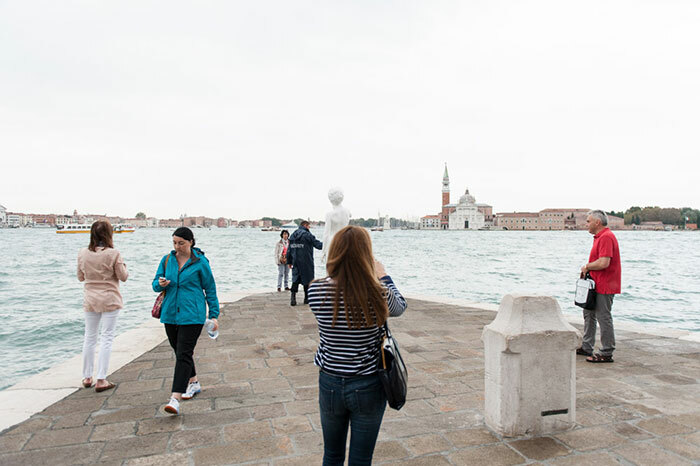 And it is almost impossible to take photos of the city without tourists. So I decided to take advantage of this situation and make the tourists the main subject of my photos. It was a fun couple of days, photographing the photographers, and I am always thinking about replicating the series in other cities. 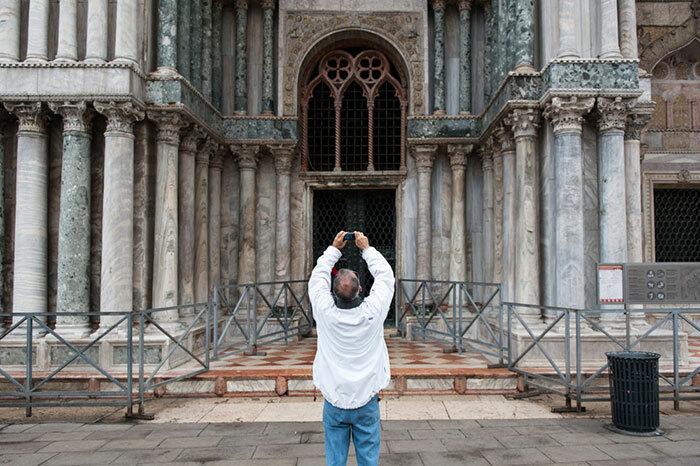 Photo series capturing tourist from behind while taking snapshots of sights in Venice.